This book combines the academic and practical experience from a collection of authors. The content has been used, tested and refined over many iterations, and now serves as a primary resource for academic courses and programmes around the world. Any student or practitioner looking for more clarity on how to strategically plan and act towards sustainability in a structured, scientific, and collaborative manner will find value inside. Because of the generic nature of the Framework for Strategic Sustainable Development, it can be useful for any discipline, from engineering, to product-service innovation, to business management, to urban and regional planning, and beyond. The New Sustainability Advantage shows how the benefits of the "triple bottom line" can increase a typical company's profit by at least 51 to 81% within five years, depending on the company's size and industry sector, while avoiding risks that could jeopardize its financial wellbeing. It may be unlikely that a Swedish karate champion, family man, and cancer scientist could be at the center of developing a systems approach to life on Earth that could revolutionize the way humans operate in the world, but this is the story of just that: the idea and the man behind it. As a cancer specialist, Karl-Henrik Robèrt faced a stream of parents who would sacrifice anything to save their children. Yet that same selflessness did not seem to extend to saving the environment, as debate on how to achieve sustainability was divided, with no agreement on universal principles. But Robèrt's experience convinced him that consensus on how to meet the most basic requirements of life should be possible. After decades of food delivered by industrial agriculture based on cheap oil, we are learning the health costs to our own bodies and the biosphere are too great. 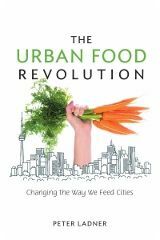 A revolution in food – where, how, and when it’s grown is now sweeping urban centres. Read this book to see why it matters and how we can do it. Our reliance on industrial agriculture has resulted in a food supply riddled with hidden environmental, economic and health care costs and beset by rising food prices. With only a handful of corporations responsible for the lion’s share of the food on our supermarket shelves, we are incredibly vulnerable to supply chain disruption. Bob Willard, a long-time supporter, partner and board member of The Natural Step, has published a new book - The Sustainability Champion’s Guidebook: How to Transform your Company. The book is available now from New Society Publishers in both print and as an ebook. Bob is an expert on leadership, culture change, and organisational development and author of two previous books - The Sustainability Advantage and The Next Sustainability Wave. These first volumes made a compelling business case for embracing sustainability. His latest book details lessons learned about cultural transformation and provides guidance on how to imbed sustainability into corporate cultures. The Natural Step for Business examines how four very successful "evolutionary" corporations in Sweden and the United States - including IKEA and Scandic Hotels in Sweden, and Collins Pine and Interface in the U.S. - are positioning themselves for long-term competitiveness using The Natural Step as a central part of their corporate strategy. Nattrass and Altomare puncture the myth that a company must choose between profitability and care for the natural environment, and present a timely and practical application of this exciting model for global sustainability.